July 2016 struck New England with an extreme drought and dry weather patterns for an entire year in most of the region. Many people are seeing the drought disappear as heavy rainfall replenishes those dry wells. Showers are taken a little less guiltily. Yet ironically, the seacoast areas of Maine and (some) of New Hampshire are still considered abnormally dry for this time of year. The drought.gov website says that the percent of dry conditions for the Northeast is a total of less than 10 percent. In general, around 90 percent have no dry conditions at all. Despite this time of year being dryer for the coast, long-term totals actually appear normal. So, why the pesky persistence with this abnormally dry issue? “Much of the Northeast remains drought free with the exception of coastal Maine, which has been plagued by below-normal precipitation over the summer,” Deborah Bathke reported in the National Drought Summary for August 8, 2017. Lack of rainfall may seem relatively insignificant in the engineering world to some. Too much rainfall can cause road erosion, mud slides, sewage overflows, and building floods (among other glorious things). Too little rain? Aside from a crispy lawn, what could go wrong? Well, for starters, a dry season can mean that ground water levels are low. Low water levels mean that engineered structures, like culverts, don’t work like they are supposed to. Which can lead to problems for an entire ecosystem. 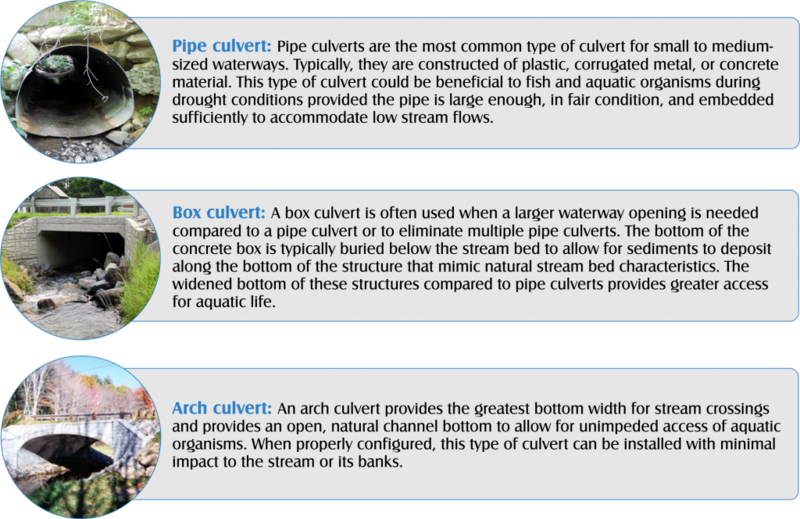 Culverts are a great example. Culverts allow for water passage — such as streams, creeks and brooks — to move under roads. Many aquatic species migrate during their lifetimes, so in order to do that, they need to be able to swim or wade through water freely. The National Oceanic and Atmospheric Administration (NOAA) explains that incorrectly engineered or installed dams and culverts can contribute to declining fish populations by not allowing continuous water flow and creating a physical barrier to fish passage. Throughout the watershed, there can be several examples of perched road crossing culverts (where a drop in elevation exists between the end of the culvert and the water body) and culverts that are too narrow, steep or collapsed. As rain levels increase and droughts are ending, aquatic life has the chance to move more freely through these constricted passageways. 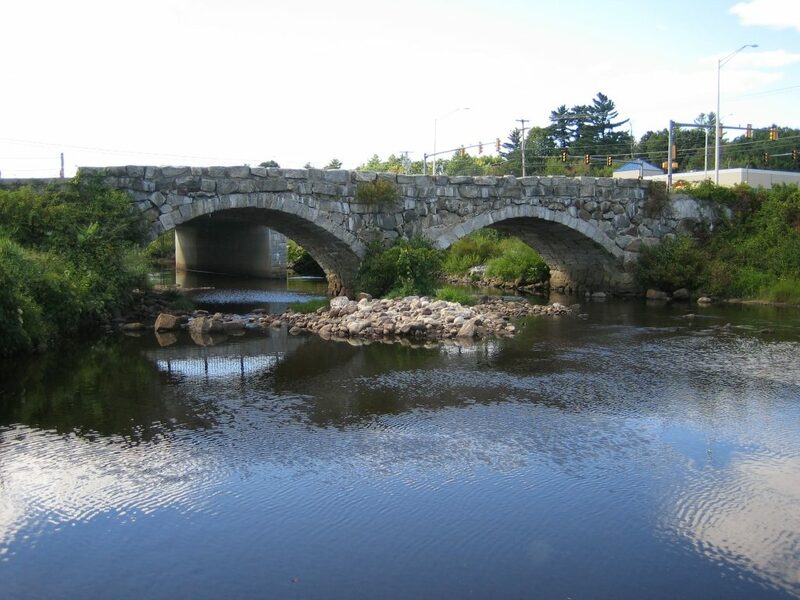 The importance of culverts can be partly attributed to the way the water flows. When accurate stream gauge data is not available, particularly for the smaller creeks or brooks, engineers must examine the existing conditions and develop assumptions on flows, typically using hydrologic models that are standard industry practice. In short, as you drive from place to place during your day, take time to notice the road culverts you pass over. They have an important role in keeping an ecosystem functioning at its best, even under drought conditions. 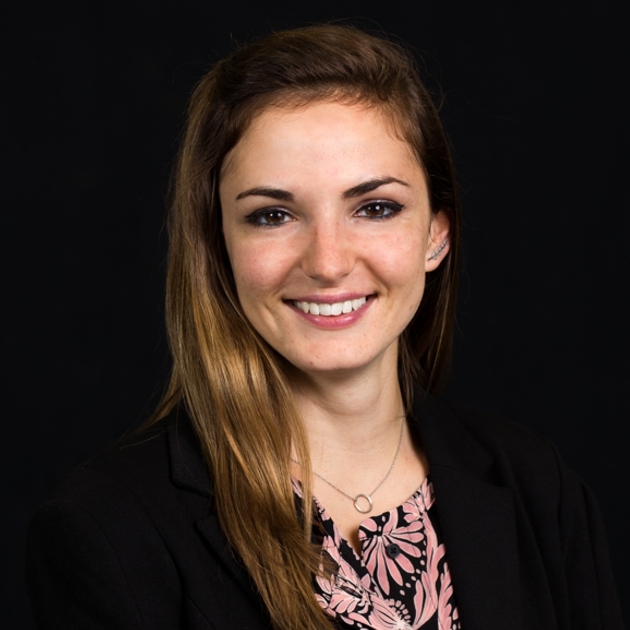 Catie is a marketing/proposal coordinator at Hoyle, Tanner. She works with project managers to create beautifully-designed marketing materials for aviation, bridge, roadway, and utility engineering. An introvert at heart and a natural bibliophile, Catie spends her free time transfixed in fiction novels and fascinated by her Labrador, Rodney.